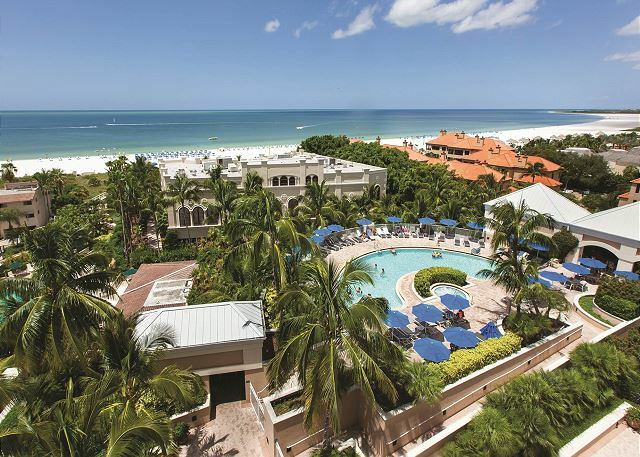 This privately owned Marco Beach Ocean Resort 1 Bedroom Suite is ideally located within Marco Island’s most luxurious beachfront resort property. 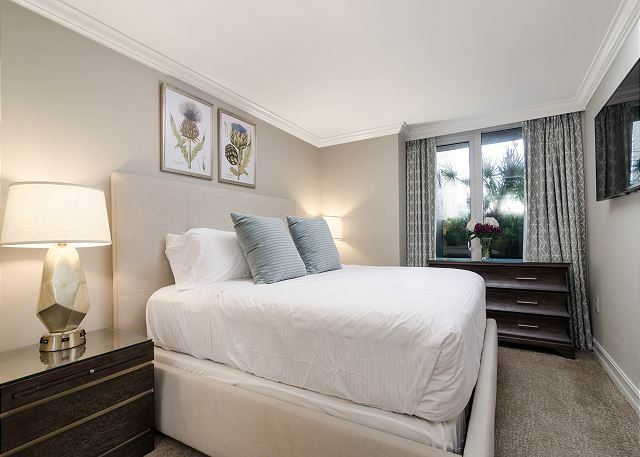 Unit 510 is a a 5th Floor Garden Terrace view suite, fully equipped and recently renovated with new carpet and coastal contemporary designer furnishings. 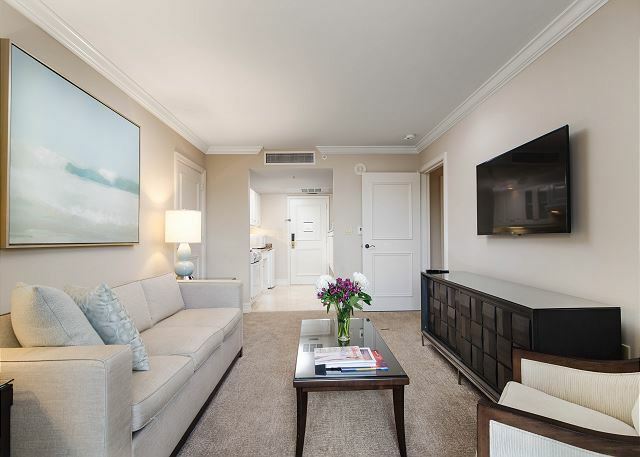 Offered exclusively by The Holiday Life Rentals, the suite is maintained to impeccable hotel standards of cleanliness and stocked with all the amenities needed for a completely seamless vacation. Situated on the 5th Floor/Garden Terrace level, Unit 510 offers ultimate convenience for getting to the resort's pool area which is accessible from your private lanai by walking out across the patio and up a small set of stairs. No need to get dressed and take the elevator down when coming and going from the pool! Inside the condo, you have a bedroom with a King size bed, large flat screen television and dresser. The en suite bathroom has double vanity sinks and a large walk-out shower with a bench. The living room has a queen size sleeper sofa and another large flat screen TV. Sliding doors lead out to your private terrace with a dining table, grassy lawn and gate entrance from the resort’s garden level. The kitchen has a full size oven and range, microwave, small refrigerator and cabinets filled with dishes, glassware and utensils. As a guest of a private owner, your rental comes with access to the owner’s parking garage free of charge! It is located on the second level of the building, a quick elevator ride from the unit. The resort offers 3 dining options for ultimate convenience and the condo’s well-equipped kitchen has everything you need to prepare meals if you choose. Step out your door to the Poolside Bar for sandwiches, salads and beverages – don’t miss the 2 for 1 Happy Hour from 4-6PM! Visit the Beachfront Grill for casual lunch near the sand. When it is dinnertime, Sal E Pepe provides an elegant beachfront Italian dining experience with excellent food and a lively lounge scene for cocktails and conversation. Beach chair and towel service. The condo has beach towels and chairs for you to bring down. You do have access to all pool area amenities including chairs and towels. Daily cleaning and turndown. If you would like periodic cleaning and laundry service, you may request through The Holiday Life. An additional fee of $90 per cleaning will be due, which includes a change of linens. 92 % of our reviewers would recommend this vacation rental. a guest from Janesville, Wisconsin does not recommend this vacation rental. Very pleased! Second time staying in this condo, everything is very clean and well organized! Thank you, Laurie! Glad you had a wonderful trip to Marco Island! We would love to host you again for a 3rd time! Place is as advertised. Clean, neat, updated, close to Marco Island restaurants. Thank you, Carmine! Glad you had a wonderful trip to Marco Island! Hope to have the opportunity to host you again in the future! Property was well placed on the Island. Restaurants and Beach were within walking distance. Easy access to the pool was a plus. Property was clean and well maintained. I would recommend Marco Beach Ocean Resort for anyone looking to get away and enjoy some quiet time. Multiple Restaurants were a short drive from the Resort - CJ's, Mangos, Snook Inn were all enjoyable. Doreen's cup of Joe for Breakfast is a must. Waverunners, Kayaks and Paddle Boarding we're accessible on the beach. Only downside was the Cleaning Crew painting the outside of the building which is to be expecting during the offseason. They were respectful to the guests and did there best to be quiet All in all a great place. Thank you, Anthony! Sounds like you hit all the Island hott spots! Doreen's & Snook Inn are definitely on our "Favorites List," too. 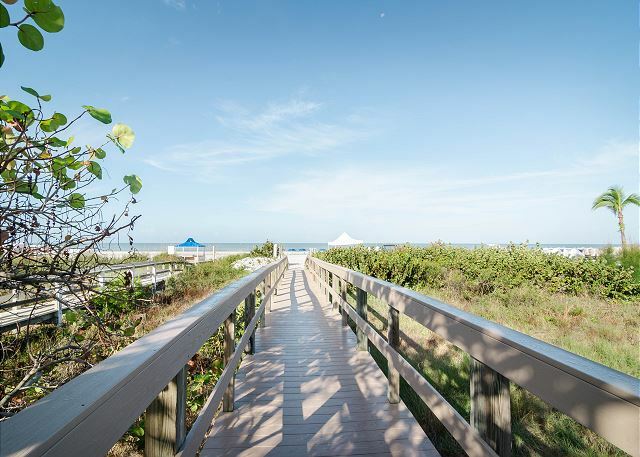 We're glad you got to enjoy some quiet time at Marco Beach Ocean Resort, that is what vacation is all about! We hope to have the opportunity to host you again in the future! Very nice unit. Clean,updated & well stocked with essentials. Handicap unit = larger shower & more cabinets in kitchen. We were there for 7 days & this nice unit definitely helped make our vacation a pleasant one. Thank you, James! 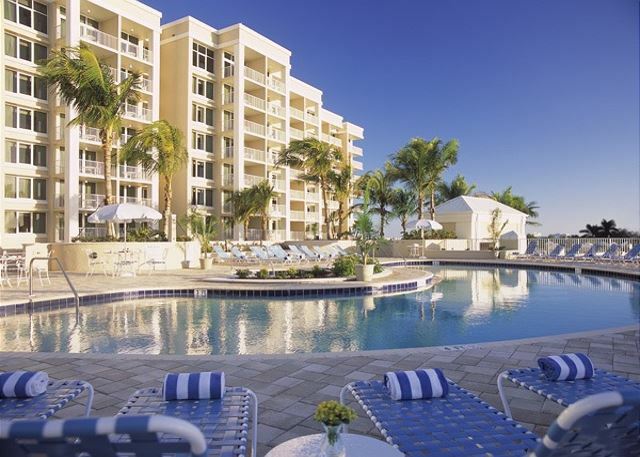 We would love the opportunity to host you again when you are in Marco Island! See you next time! Overall a very good stay in unit 510. The location of the property is fantastic and walking to the beach was convenient. The unit was very clean and appeared newly remodeled. We had a few small issues in the unit I noticed upon check in and the owner Fred was super attentive and addressed them. I would definitely stay there again with my family. Thank you, Jim! We would love to host you and your family again. See you next time! Thank you, Kennon! Suite 510 is steps from the pool! Glad you were able to take full advantage of the amenities! See you next time! We are glad you enjoyed your stay! I would like to note that you were provided 1 "set" of 8 towels of each size (bath, hand and washcloth) upon check-in, which is what we leave for all guest stays. As a courtesy, we delivered a second set of 8 free of charge per your request. 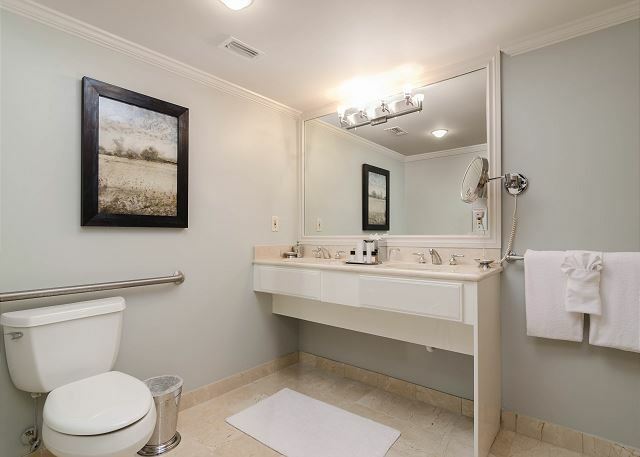 We aren't able to change out towels daily given that we are an off-site rental company, and don't have our own laundry facilities on the premises - that is why we are able to offer lower rates than booking through the resort! We do disclose this and the fact that the resort's beach chairs are not included with this rental in our listing details as it is important to us to be clear on what we offer vs. renting through the resort. Thanks for taking the time to leave your feedback! First time renting with The Holiday Life. The condo was perfect. Loved the terrace. Short walk to pool. The restaurant at pool was great. The only problem was the height of the bed, it was almost as high as the dresser. Would book again. Thank you, Margaret! 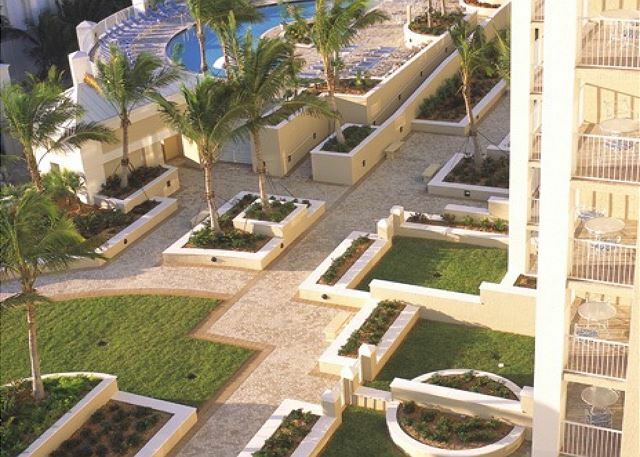 Suite 510 makes it so simple to access the pool and restaurants in the resort- glad you were able to take advantage of that! We would love to host you again so come back anytime! This unit was wonderful. Very clean and neat. Very well maintained. Thank you, Laurie! We're so happy that you enjoyed your stay in Southwest Florida! cooler to us because the refrigerator is so very small! They are very accommodating. Thank you, Dennis! 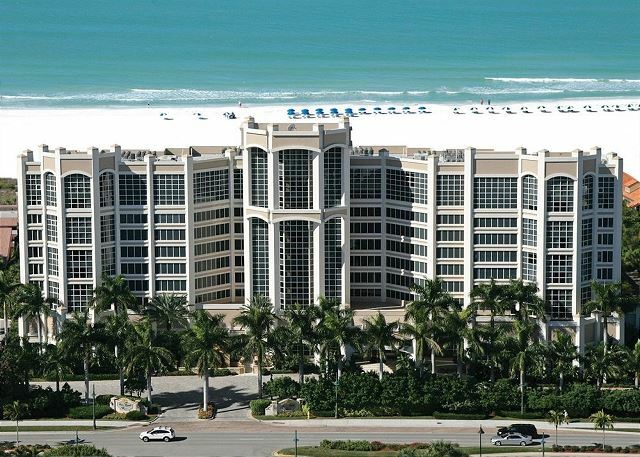 We're glad you enjoyed your stay on Marco Island! See you next time! I would recommend this unit. My wife and I spent a week here and had a very good time. Thank you Mark. 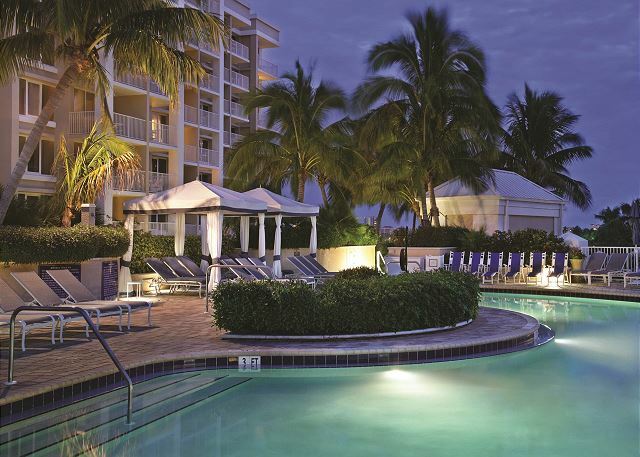 We're thrilled that you enjoyed your stay on Marco Island! Can't wait to host you again!